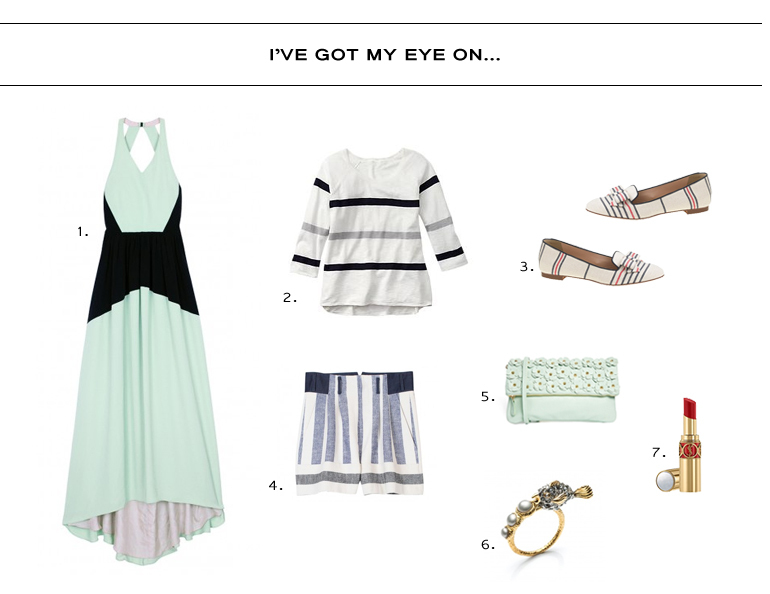 *Loafers and stripes and bows, oh my! You know I want these. Would it be a terrible violation of my shopping ban to use a Christmas gift card on them? Every store email, every blog post and every Instagram is another temptation to buy the next “It” item, which makes a month without shopping for clothes especially difficult for a style blogger. Heck, if you’re like me, you’re not hiding an Internet history littered with tawdry sites, you just don’t want to admit how many dresses you looked at before your first cup of coffee. Challenging myself to a “No Shop April” was less about saving money and more of an effort to stop accumulating stuff. I like to shop. I like to own pretty things. But lately I’ve felt like I’ve gone off the rails a bit. I just need a month to step back and reevaluate what I want in terms of general financial goals and key items to eventually add to my wardrobe. Mix and match your existing wardrobe. This is the perfect opportunity to be creative. Pick a piece you haven’t worn in awhile and challenge yourself to wear it three different ways this month. It also makes for blog fodder that’s more interesting than showcasing new purchases. Clean out your closet. Go through your closet and take out every single item. Look over each with a critical eye. Do you wear it? Is it in good repair? Would your current self buy this piece again? If you can answer yes to those three questions, the item goes back in the closet. If not, it’s off to eBay or Goodwill. I did this in February and, honestly, I was embarrassed by how much I donated and by how much money I spent on things I didn’t wear. It forced me to be more thoughtful about future spending. Appreciate what you already own. You know that rush you get when you buy a new item? Rekindle that flame with your wardrobe. We all have items we treasure and it’s important to realize that you can’t always have the latest and greatest thing. In fact, what you own now is already pretty great. Keep your on the prize. Be honest about your reason for doing this. Are you padding your savings account? Putting away money for an expensive item? Looking to break away from unconscious consumerism? Whatever it is, write it down. Remind yourself of your end goal whenever temptation strikes. There will always be another must-have item. The promise of warm weather, so I can break out my favorite spring shoes. 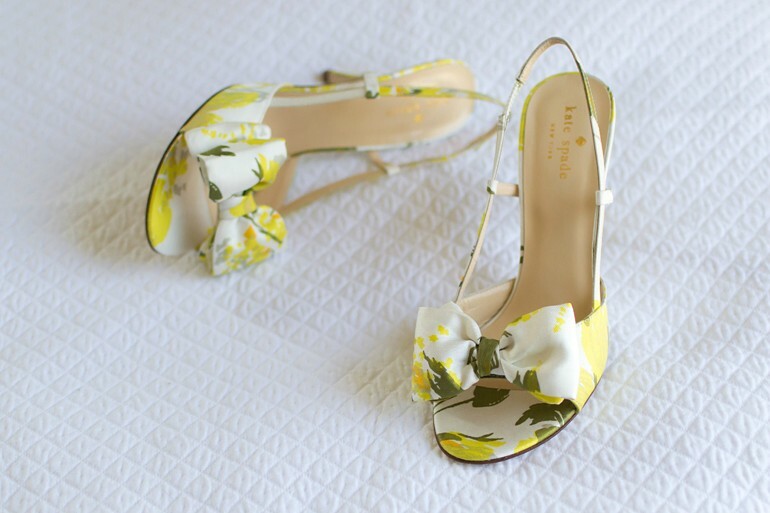 I’m itching to wear these Kate Spade pumps again. Iris Apfel’s upcoming sale on One Kings Lane. You know how much I adore this woman (even more so after she referred to herself as a “geriatric starlet”) and I’d love to own a piece that belonged to her. Though, something tells me that the April 5 sale will be priced above my budget. Finally sending off my passport for renewal. I’m not sure if you’re allowed to smile in your photo, but I’m risking it. (The government site isn’t very clear—they require a “neutral expression,” yet some allowable photo examples show people smiling.) Hopefully it gets approved. My non-smiling expression looks pretty angry. 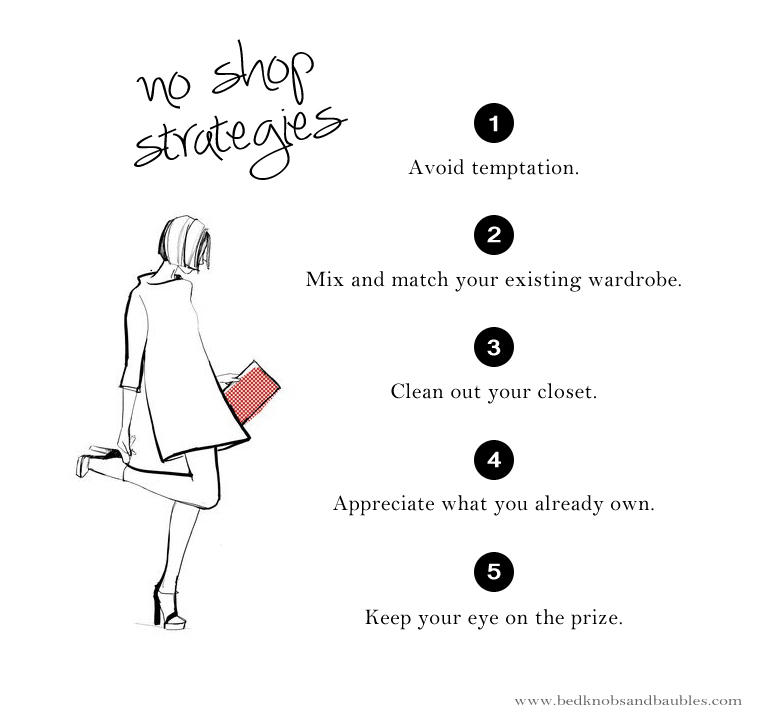 An interesting article that reinforces the principles behind The French Wardrobe Challenge. I’ve been a little too fast and loose with the debit card lately, so I’m placing one more order to try a navy trench and a couple of white dresses to try (here and here), then I’m kicking off “No Shop April” (I tried to come up with a catchier name, but that’s the best I’ve got). * Thirty days of resisting clothing and ignoring gemstones sounds like an ideal way to get my savings back on track and continue evaluating the missing links in my wardrobe. *I’m totally breaking this promise if I earn enough money on the blog and eBay to buy this Tory Burch scarf. NEW J.Crew fit and flare dress in haven blue: Even though there’s another color option actually labeled navy, haven blue is pretty close to the navy I have in my closet. I was worried that the fabric would be too shiny for day, but it’s very subtle. It looks darling with the Sam Edelman flats I bought a couple of months ago and it has pockets. (I don’t think it’s worth the full price of $200. I paid $150, which still might be high for it. If you can snag it at $100, go for it.) It also attracts pet hair like no other. NEW J.Crew lightweight merino v-neck sweater in grey: I wanted another v-neck sweater and fell for this one. It’s incredibly soft and the slightly oversized fit (I sized up to a medium) is so appealing. NEW Banana Republic “Sloan” pants in turquoise: Okay, so this isn’t an obvious basic (and actually sticks out like a sore thumb on my Pinterest board), but I wear my navy and black pairs to work all of the time. I wanted a bright color to liven up humdrum work days this spring. I also only paid $10 after a discount code and two reward coupons. NEW Tory Burch “Desi” printed pumps: These were a complete impulse purchase and I love everything about the mod, ’60s-style shoe. A low, block heel is practical and navy stripes are versatile in my closet. Gap striped fit and flare dress in navy and white stripe: I wanted to replace a striped dress I got rid of during The Great Closet Cleanout that had seen better days. This dress runs at least a full size too big and the quality of the thin, unlined cotton dress isn’t even worth the $36 I paid. It’s a bummer because the cut of the dress has a lot of potential. J.Crew scallop crepe dress: I tried this on in store and really wanted to love it, but it didn’t flatter my body type. If you have a full bust and slim hips, I urge you to try it on. It really is adorable. Are you taking part in The French Wardrobe Challenge this season? Let me know by the 15th of the month and I’ll link to your post below.